What is more cute than a Teddy Bear? You want to gift your mom or girlfriend something, this is the first option that comes into our mind. 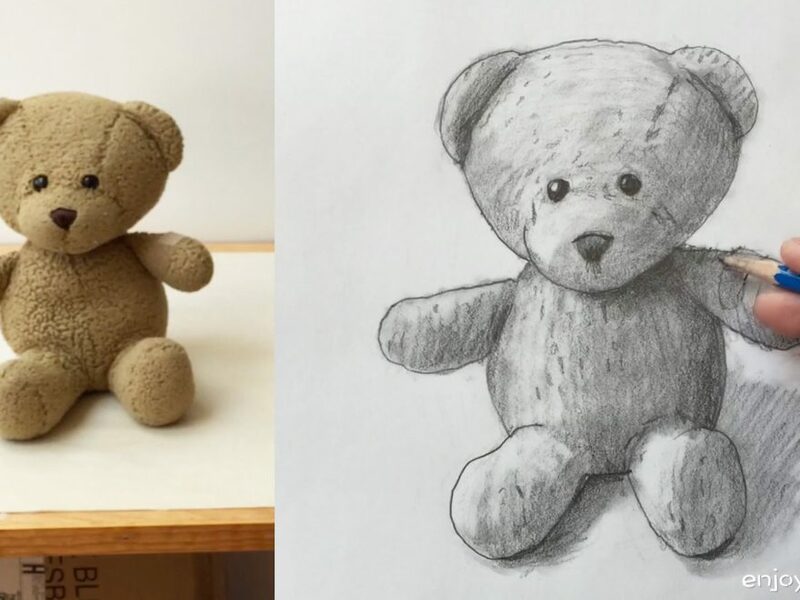 If you want to do something unique, why not draw teddy bear and present it to her? 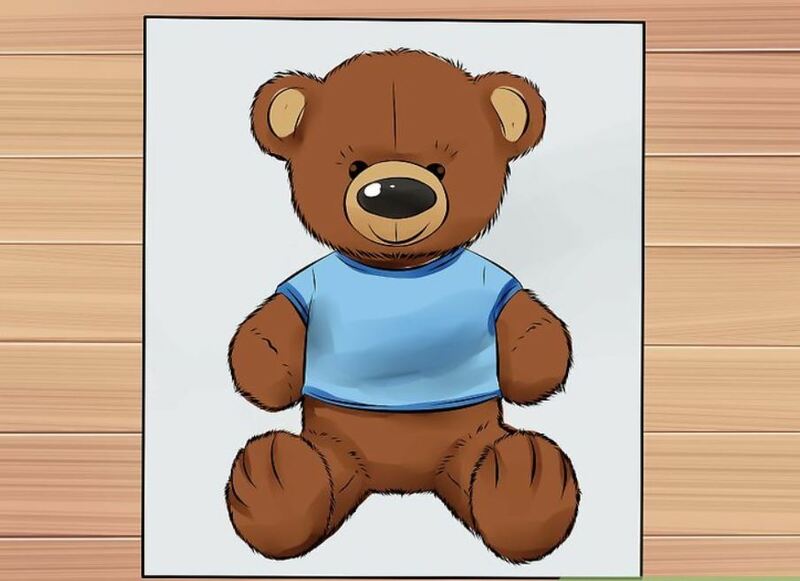 The name Teddy Bear came into existence because the 26th American President, Theodore Roosevelt, was commonly referred as Teddy. After that the soft toy began to be called as Teddy Bear. It is adored by all the girls and kids. There is a political hand in the making of this toy, so it’s still unknown Whether its invention was made in USA or Germany. 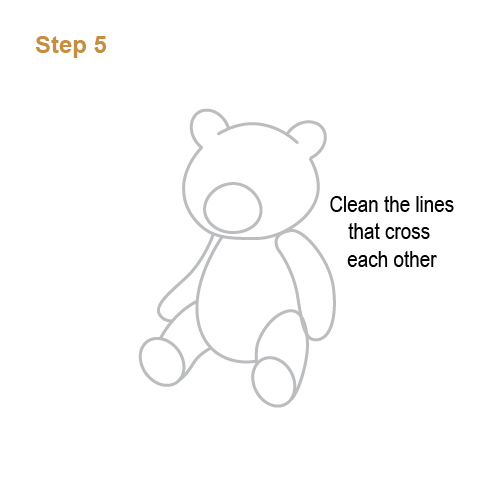 Let’s begin to draw a cute teddy bear now. Got to learn some history, right? Practicing such kind of things helps you gain knowledge as well. You come to know things which you may not have searched ever. So keep on practicing and get to know a lot of amazing facts. 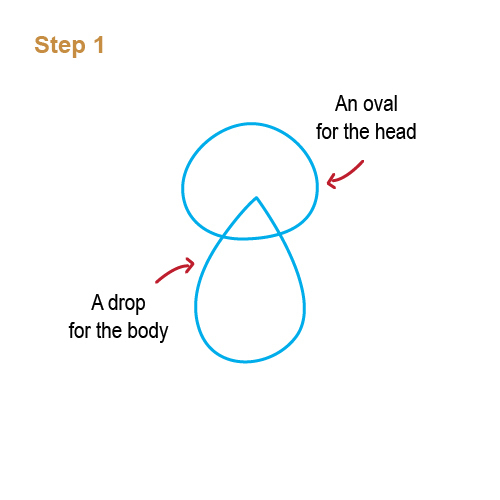 Step 1 First draw an oval shape for the head and then draw a water droplet shaped body. 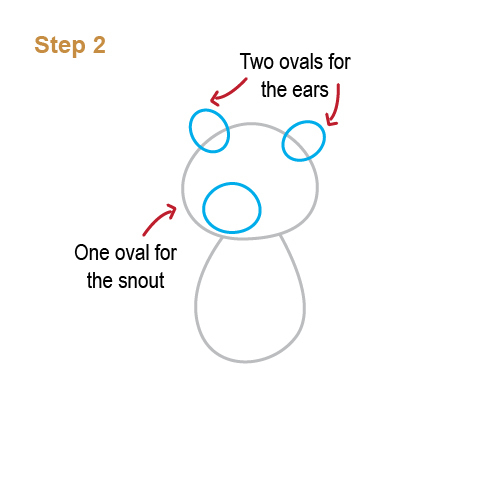 Step 2 Draw 3 ovals two for ears and one for the mouth. Step 3 Attach two oval like shapes for the legs. 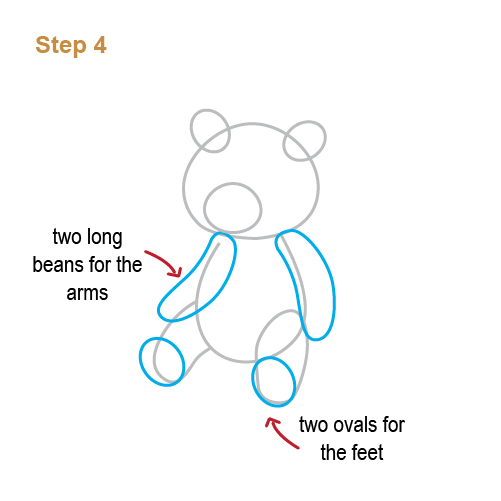 Step 4 Add similar shapes for the hands and at the end of two legs draw two circles for the feet. Step 5 Remove all the overlapping lines. 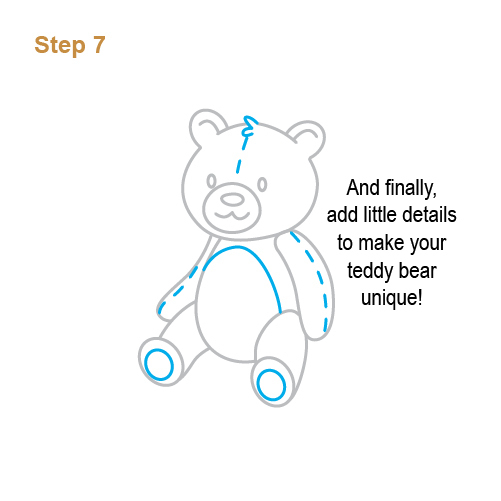 Step 6 Complete detailing the face of the bear which includes eyes, ears and nose. Step 7 Add some extra small details like I have done to make it look cuter. Color as you like. If it could become alive, then what would you do? Make your best buddy? 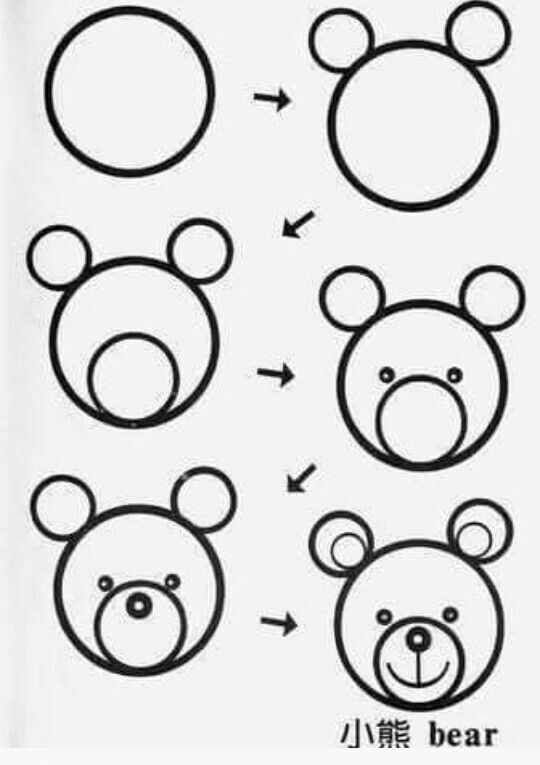 Follow the color pattern that I have used below to make your bear lovable and cute. 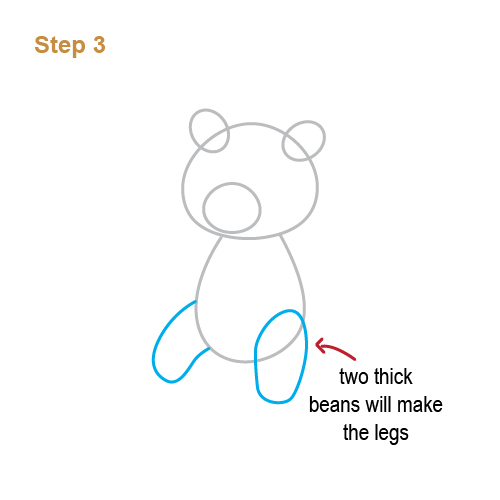 Step 1 Draw a circle for the head and followed by 2 small circle on top of the head for the ear. Step 2 Draw another circle on the bottom of the head inside it for the snout. Draw 2 small eyes but keep in mind to make them reflecting. Step 3 Draw the nose and a mouth of C shape as shown. 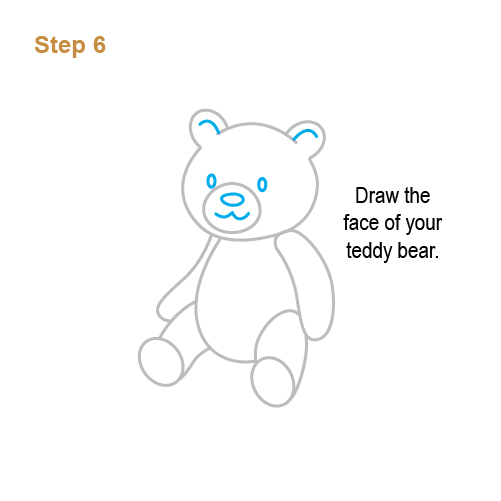 Then you can color it with your favourite color to make it your own paper teddy bear.